Published on 22/05/2011 in accomodation, front page, guesthouse, hotels and press coverage. 2 Comments Tags: Arugam, Arugam Bay, Arugambay, arugamsurf, hotel rooms, Investments, Tourist Board, Tourist Minister. The surfing season in Arugam Bay starts in May and the thousands of people who are dependant on the tourism industry in this Eastern coastal village in Sri Lanka eagerly await the arrival of the highest number of tourists this year. The tourism industry in the country is booming after the end of terrorism in 2009 and Arugam Bay is now ready to regain its full potential. Arugam Bay i How much unisom to overdose s one of the world’s top 10 surf locations, known for its fantastic waves, which attract surfers from all over the world. The best time for surfing here is between May and November when strong winds are offshore for at least the first half of the day. Published on 14/06/2010 in accomodation, front page, guesthouse, hotels, Kitesurf, Money Matters, parties, people, press coverage, presse-deutsch, services, surf, Surf Federation News and the bay. 0 Comments Tags: Arugam, Arugam Bay, Arugam Surf, Arugambay, arugamsurf, Body Surf, competition, Siam View Hotel, Surf Contest, Surfcam Arugam Bay, Tourist Board, Tourist Minister. Sri Lanka is getting ready to surf its way up with two international surf festivals organised to be held next month. Managing Director of Sri Lanka Tourism Promotion Bureau Dileep Mudadeniya told Daily FT yesterday that two surf competitions will be held next month at Arugam Bay attracting 300 surf lovers. a? ?There will be a British Pro Surf competition in the first week of July and the next week will be dedicated to an international level surfing competition,a?? Mudadeniya said. The British Pro Surfing Competition is set to attract 75 to 100 British nationals and the Five Star Surfing Championship will attract 200 persons from 15 to 20 countries. The Five Star Championship will be held from 18 to 25 July. a? ?This is a world quality event and Sri Lanka tourism can attend a large mileage from organizing such events. And the regional empowerment is also vital. The local economic development is set to score high with so many people coming down in one month,a?? Mudadeniya asserted. Some 200 rooms, all there is available in the area, have been already booked for the event. 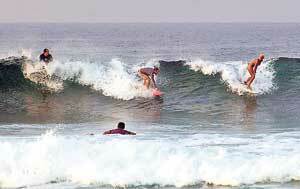 Arugam Bay Cheap glucovance is on the list of the top 10 surf points in the world. Situated on the South East side of Sri Lanka Arugam Bay receives the same Antarctic winter swell’s that hit Indonesia in the in the middle of the year. The best time of the year is between May and November when the predominant wind is offshore for at least the first half of the day. Published on 05/06/2010 in Blogs, Environmental, front page, Money Matters, taxis and the bay. 1 Comment Tags: Arugam Bay, arugam bay main point long runs, Arugambay, arugamsurf, Tourist Board, Tourist Minister, Tsunami. Could you tell us about the Arugam Bay Tourist Association? What is its role in promoting tourism in Arugam Bay? Regarded as one of the best surfing destinations in the world, Arugam Bay is increasingly attracting both local and foreign visitors to its shores. Plans are now underway to develop a quaint village, located in Pottuvil in the Ampara District to offer enhanced services and facilities to the tourists. However, M H A Raheem, Chairman of the Arugam Bay Tourist Association, believes that such plans could have drastic consequences if they fail to take into account and protect the local community and the natural assets of Arugam Bay. 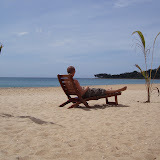 The tourism industry was destroyed as a result of the tsunami and the community did not know what to do. Thus, we got together and formed a small team to work with the NGOs who were coming into support Arugam Bay. For example, when the USAID Mission Director came to Arugam Bay following the tsunami, they were committed to implement any major project in the area and inquired into our needs. Although many asked for funds, the Association had the foresight to request that they build roads, bridges and water schemes. Consequently, they constructed a bridge and a water tank for the area. Published on 31/12/2008 in accomodation, hotels, Money Matters and press coverage. Closed Tags: Arugam Bay, hotel rooms, Kalaiselvam, SLT, Tourist Board. Sri Lanka Tourism (SLT) hopes to elevate its position by 2016 as the highest foreign exchanger earner to the country from the current fourth place. Chairman, SLT, Bernard Goonethilake said that they hope to attract 1.5 million tourist arrivals by 2016 to achieve this target. Outlining the tourism promotion plan for the next four years, yesterday, he said that they also hope to attract high spending tourists. a? 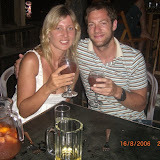 ?We want to increase the spending power of tourists from the current average of US $ 80 per day to US $ 130,a?? he said. Sri Lanka Tourism hopes to add 7,000 additional rooms to bring the total strength to over 14,000 rooms to meet the projected demand. He said that with the dawn of peace in the eastern province more hotel rooms will be built in these areas. The Board of Investment has already signed up with several local and foreign investors. a? ?Within the next two years there would be 700 rooms in Pasikudah, Trincomalee and Arugam Bay,a?? he said. Director, Sri Lanka Tourism, S. Kaleselvam said that the industry generated over US $ 350 million last year and there were 389,550 tourist arrivals until last November. This is a 10 per cent drop compared to 432,892 in the corresponding period last year. The National Strategy for Sri Lanka Tourism has ventured to place the profile of the country as an Asian tourism icon. a? ?We want to make Sri Lanka Asiaa? ?s most treasured destination,a?? he said. Eight objectives addressing the immediate and long-term needs, also cover the operational aspects as well as the four divisions that formulate Sri Lanka Tourism. An 11-part strategic framework which addresses the areas of action has been defined and this Strategic Plan provides a blueprint on how traditional and the not so conventional aspects of tourism will be incorporated to grow into sectors such as nature, culture and adventure tourism. A Tourism Strategic Action Group (TSAG) was set up recently based on the advice of the Minister of Tourism, Milinda Moragoda, to address the challenges ahead of the local tourism sector. It brings together key stakeholders in the tourism industry, enabling them to take quick decisions. Secretary, Ministry of Tourism, Purchase suprax cefixime George Michael said that the global economic crisis has been illustrated by the drastic drop of prices in key luxury hotels and the significant reduction of tourist arrivals in key locations throughout the world. He said that they would use the Tourism Cess Fund to implement the four-year promotions. a? ?This would be around Rs. one billion each year and government funds would not be used,a?? he said.